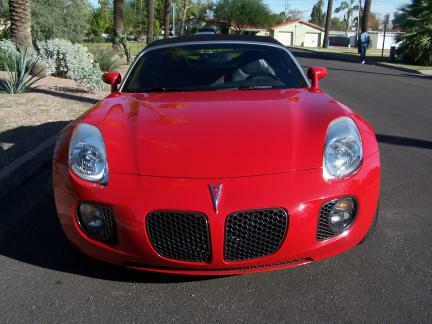 This Arizona one owner Pontiac Solstice GXP features a 260-horsepower turbocharged engine, automatic transmission, a sport-tuned suspension and stability control, power height adjuster for the driver seat rear spoiler and sport metallic pedals. 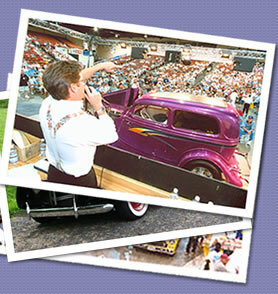 She comes with new radial tires, chrome wheels, owner’s manual, and the original GXP floor mats. Well serviced with only 97,000 miles. The red paint is almost perfect as is the black leather interior. It also comes with a clear nose bra. 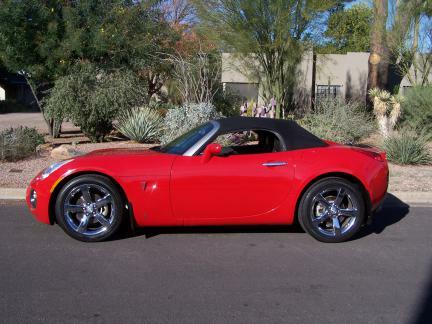 The 2007 Pontiac Solstice comes in two trims: base and GXP. 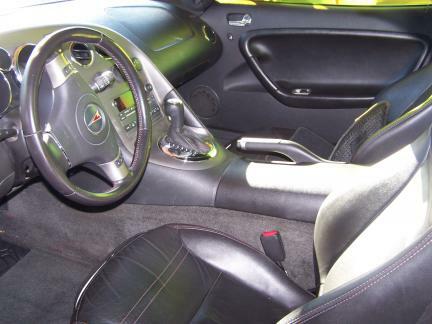 Standard equipment for both includes 18-inch wheels with 245/45 performance tires (all-season on the standard Solstice, summer spec for the GXP), a manually operated top with a glass rear window and defogger, a tilt-adjustable steering wheel and a six-speaker audio system with an in-dash CD player. 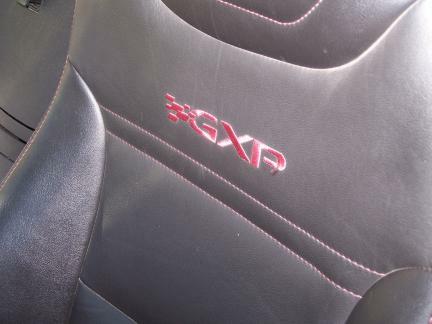 The performance-oriented GXP adds a turbocharged engine, a sport-tuned suspension, a limited-slip differential, dual exhaust outlets, fog lamps, cruise control, power windows and mirrors, keyless entry and a leather-wrapped steering wheel. 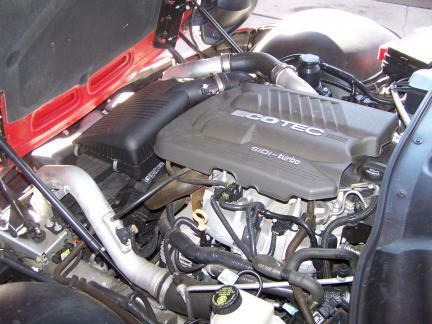 Most of the GXP's convenience features are also available as options on the base Solstice. Other options for both trims include air-conditioning, leather seats, a couple of upgraded sound systems with MP3 playback, OnStar telematics and satellite radio.